Having been felled by the flu, I've been rather quiet in the last few days, despite the passing of valentine's day, the anniversary of my first date with DH (17 years ago, and still just as thrilled to be by his side), and my 39th birthday. One of the things I did to celebrate was to indulge in a few little handmade goodies. The first present arrived in the mail this afternoon and did much to lift my spirits. 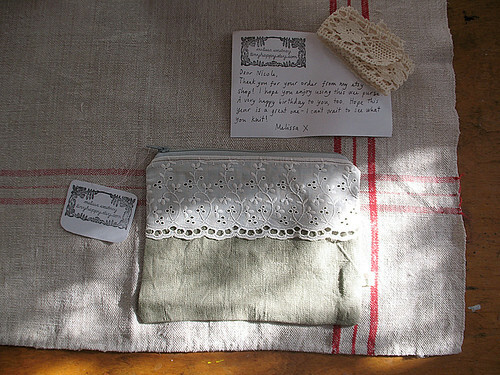 I ordered a tiny happy small green linen pouch adorned with antique Finnish lace to hold all my knitting tools. 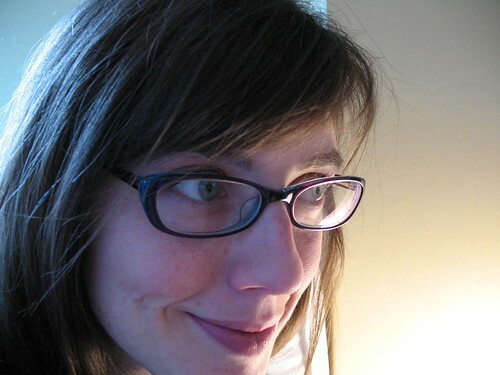 I've been following Melissa's pretty creations through her delightful blog. I really love these, especially the feather one. Go see. 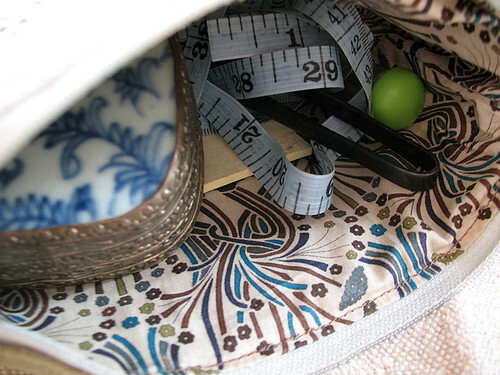 The inside of the pouch is lined in gorgeous Liberty of London tana lawn (sigh). 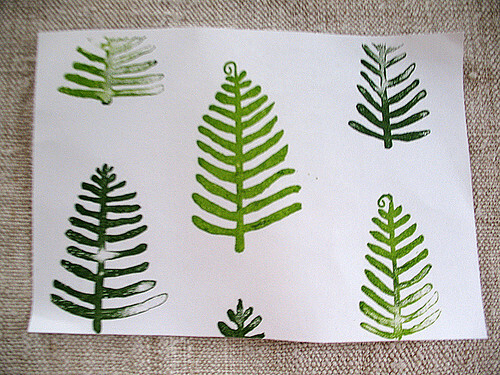 I especially appreciated the handwritten note with a beautiful fern print on the reverse. 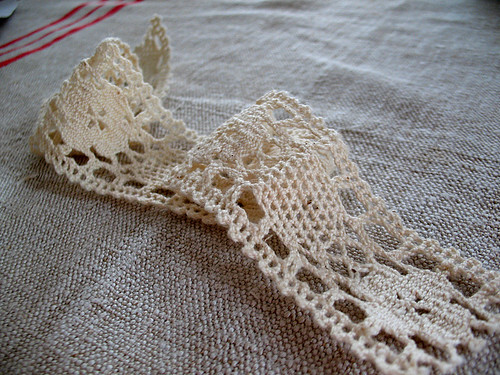 She also tucked into the package a lovely piece of cream lace. This extra gift I take as a sign that I need to transform the inspiration I find on her blog into my own little tiny happy creations.